Is Silage Additive Cost Effective? Feed Prices - What can you do? 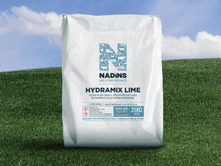 Nadins Hydramix is 100% natural mixed lime product for use in cow cubicles and livestock housing. Hydramix is very absorbent, cost effective, gives good control of E. coli and other bacteria and whilst the same pH as Calcium Hydroxide, Hydramix is less caustic and doesn't burn. 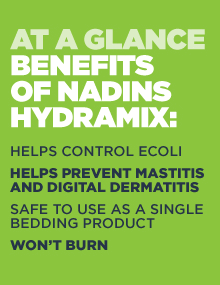 Why is Nadins Hydramix better than conventional hydrated lime? Cubicle lime products based on hydrated lime (calcium hydroxide) can be highly caustic. These have been known to cause burns to the cows skin and teats, followed by severe outbreaks of mastitis. 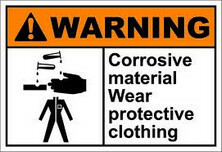 Some of these products as well as being very caustic are also very dusty and unpleasant to use and should be used with care. Calcium hydroxide is unpleasant to handle, damages the skin and can cause severe burns to the eyes and lungs. Like caustic soda, when damp it will react with the natural oils in the cows skin turning them to soap. This is a similar effect to prolonged handling of wet cement. Disruption of the natural waterproofing and anti-bacterial defences of the cows skin can result in chapping and cracking of the skin can increase damage to teats, hocks and the skin surrounding heels and feet. Over use of hydrated lime in damp situations may actually cause more not less infections of the udder, hocks and feet. Very caustic products can also react with ammonium salts in the slurry losing a lot of nitrogen to the air in the form of ammonia gas. This in effect means the nitrogen content of the slurry is reduced which will need to be replaced with purchased nitrogen fertiliser. If ammonium nitrate costs £300 per tonne. One tonne of cubicle lime containing 99% calcium hydroxide can displace nitrogen worth £245. So hydrated lime is not so cheap for bedding cubicles after all. Some farmers use ground limestone or limestone flour on cubicles which is cheaper than calcium hydroxide based cubicle limes but limestone flour is relatively insoluble, has a neutral pH and will not control bacteria on cubicle beds. .
Nadins Hydramix is very absorbent, very cost effective, gives good control of E. coli and other bacteria and whilst the same pH as Calcium Hydroxide, Hydramix is less caustic and doesn't burn. Hydramix Lime can be used in conjunction with sand, sawdust, straw and other bedding materials for effective control of bacteria at around 100gms - 200gms /cow/day. Alternatively Hydramix lime can be used on rubber cow mats and mattresses at up to 0.5kg/cow/day as a sole bedding powder. 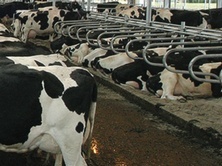 Nadins Hydramix is a unique blend of mixed lime for use in cow cubicles and all livestock housing. Hydramix provides a rapid rise in pH yet is gentle enough not to burn. It effectively controls E. coli and aids in the prevention of mastitis and digital dermatitis. Safe to use as a single bedding material this one product has multiple applications. 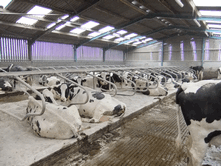 Use on all types of cattle housing surfaces, mixed with sawdust, shavings or straw for loose housing or use alone as a sole bedding powder on cubicles, rubber mats and cubicle mattresses.